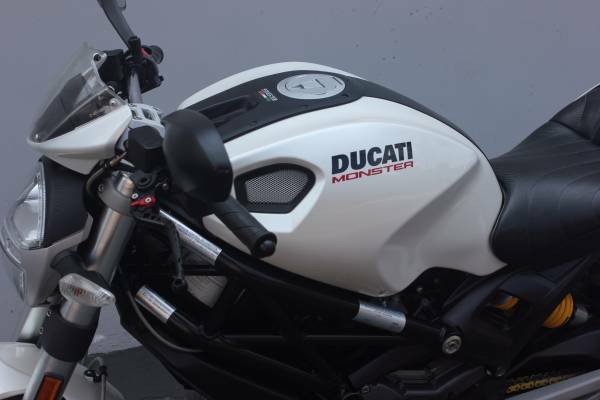 As the most successful motorcycle in Ducati’s history, the redesigned Monster displays the ultimate balance of classic styling with modern performance. 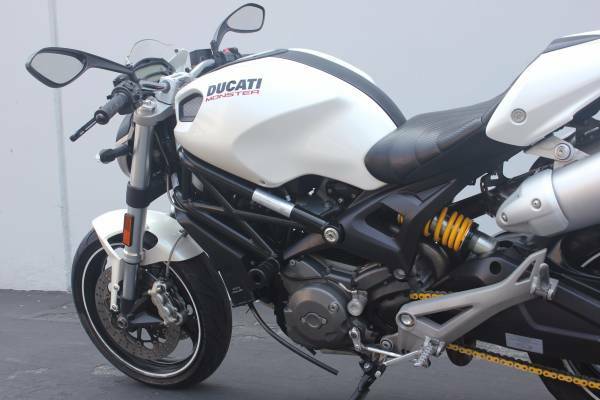 The updated Monster 696 features an open frame design that not only looks fantastic, but also offers a lighter and stronger result than the original Monster frame. 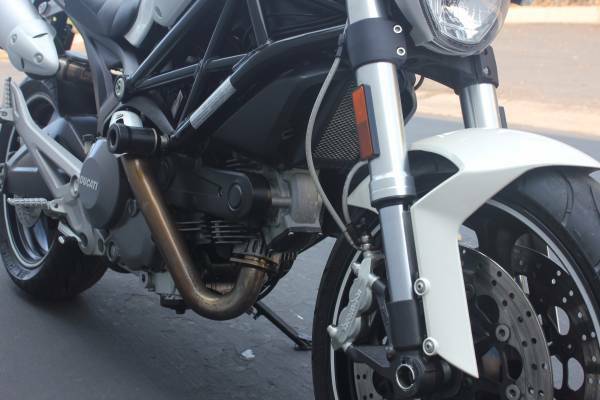 Rear suspension linkage has been eliminated in favor of a cantilevered side mounted shock, mated to the cast-aluminum swingarm. 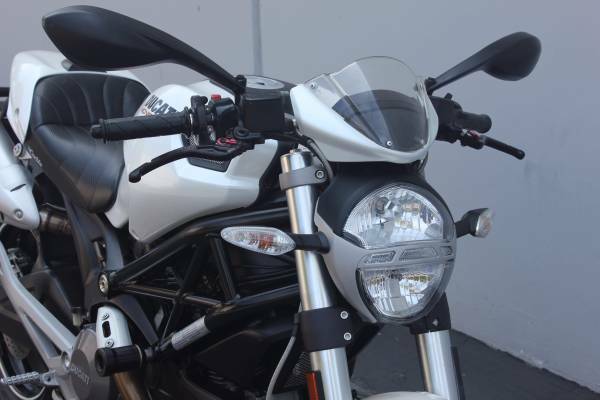 The resulting handling from Ducati’s redesign is one of the most agile, accommodating rides on the road today, and is universally praised by both veteran and novice riders. 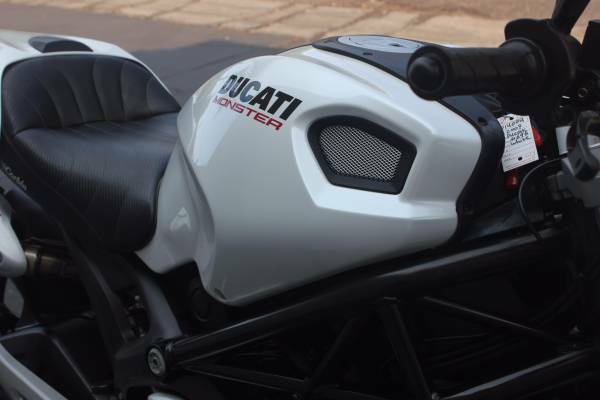 Powering the 696 is a signature Ducati air-cooled V-twin engine that retains the smooth, gradual powerband of Monster past, while increasing overall power output by around nine percent. 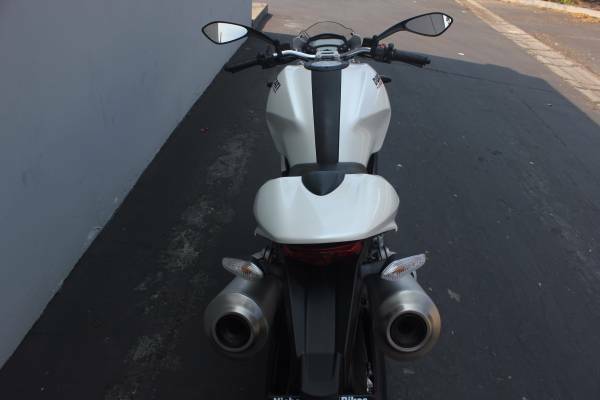 With a low seat height and rider friendly ergonomics, easy powerband, and it’s low weight, the Monster creates its own niche. 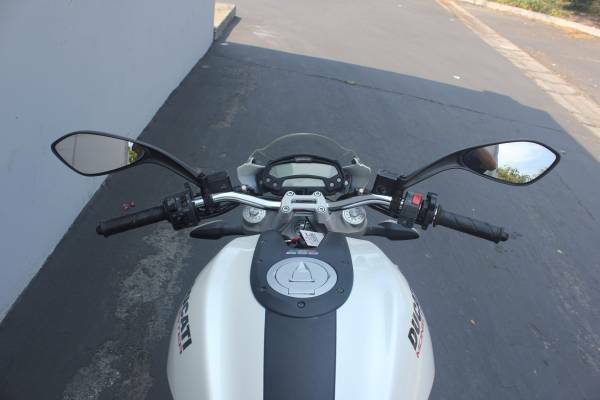 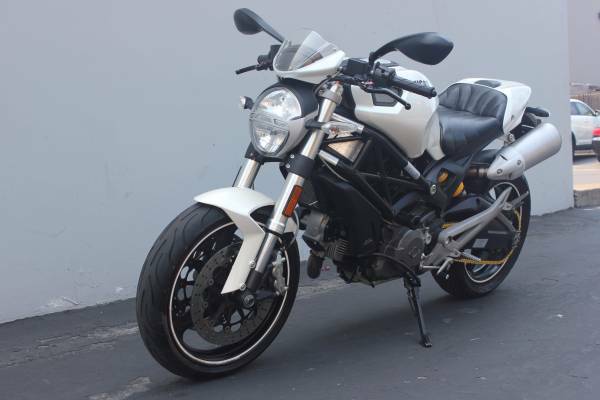 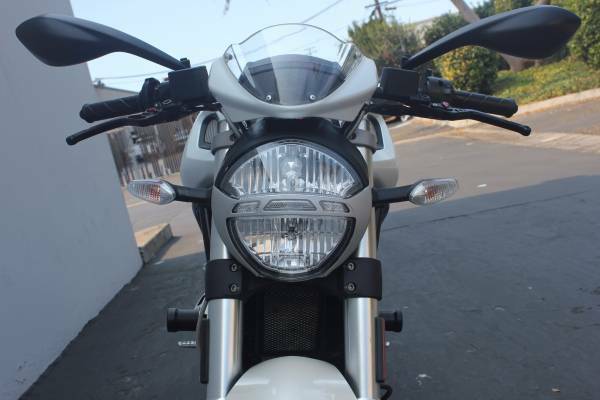 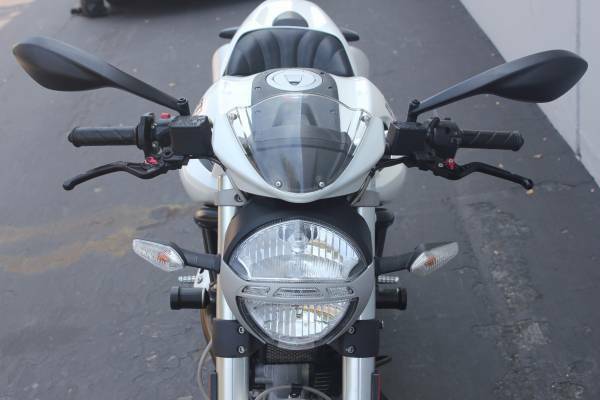 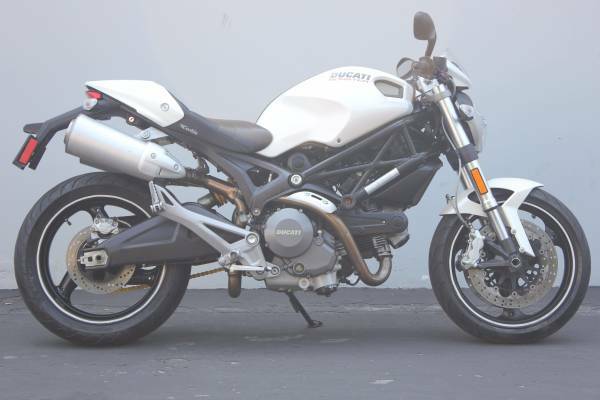 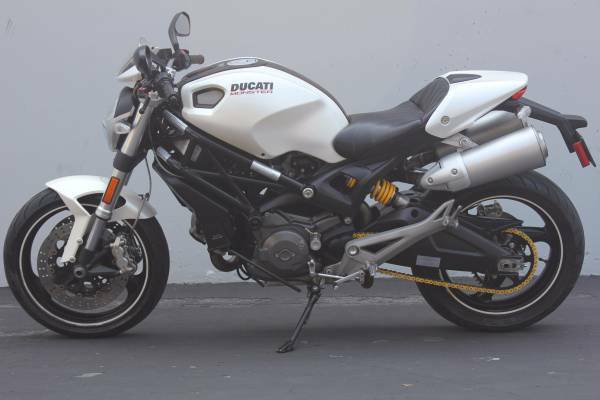 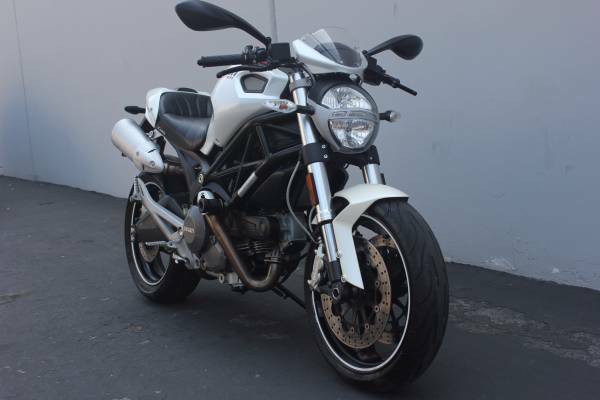 Anyone looking for a fun, agile bike with world class Italian quality should be looking at the Ducati Monster. 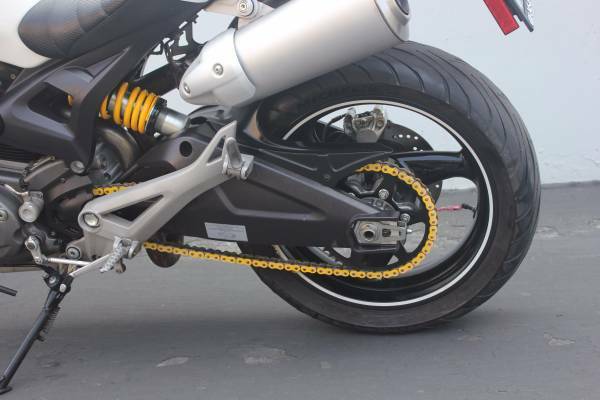 Suspension: Inverted 43mm Showa front fork. 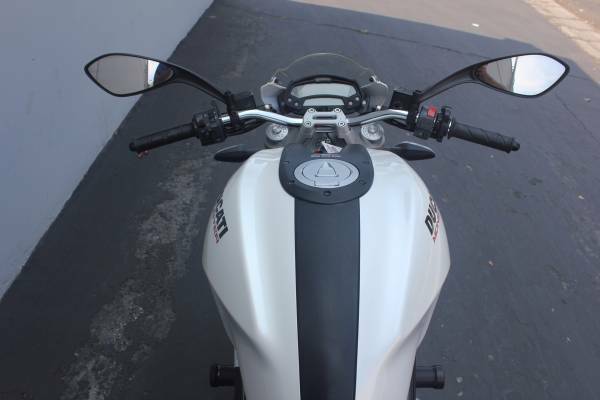 Sachs rear monoshock with adjustable preload and rebound damping.